Listed are 13 of the biggest, best & scariest haunted houses in Colorado for this season, so you can get scared in multiple places and in various ways! 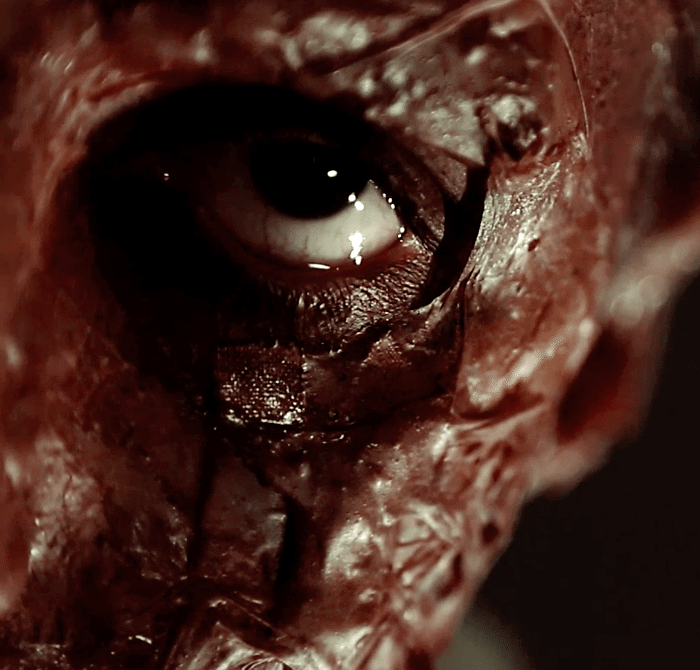 13th Floor, Produced by Thirteenth Floor Entertainment Group, taps into your childhood nightmares. Horror in the heart of the Mile High, 13th Floor is Denver’s largest haunted house. This legendary haunt will transcend guests into a dream world of terror that would scare even the bravest of souls. Explore a seemingly abandoned manor that is home to evil permanent residents who were unwittingly awakened by a local psychic; and visit the eerie town of Coalfell where strange reports describe terrorizing shape shifting creatures, which most often take the form of evil clowns. A night of excitement and thrills await; the spine tingling scares start the moment you step out of your car. The Asylum, also Produced by Thirteenth Floor Entertainment Group, is located minutes away from Downtown Denver. The Asylum tells the story of the secret resting ground for 200 lost souls, the former adult, child residents and doctors of the Ridgegate Asylum, a dark chapter in Denver’s history. No record was made of the move to Northeast Park Hill still, some 200 bodies are said to have been buried at 39th and Kearney Street – a strange resting place, considering at one time, the site was used as a schoolhouse for forgotten children. Now, there’s been a breach in the tomb and there are rumors that the maniacal deeds are being revisited upon the people of Denver. The Asylum is a horrifying head trip for all who dare to enter. Psst… Check out our featured article that details both 13th Floor & The Asylum Haunted Houses attractions! City of the Dead features an intense, 30,000 square foot journey through ultimate horror. City of the Dead features three separate attractions: City of the Dead Haunted House, Curse of Darkness & The Carnival of Carnage. They will haunt you with vampires, demons, zombies, and undead creatures that will cause your blood to run cold. Try to make your way through their demented world. Psst… Throat dry from all that screaming? They’re the only Denver haunted house to serve beer and are sponsored by Coors Light! Dark Side of the Abbey is located inside the wedding chapel, The Abbey, in Cañon City. Dark Side of the Abbey features two chilling attractions and also is hosting a special Paranormal Activity Investigation. Do you dare take on the Dark Side of The Abbey? 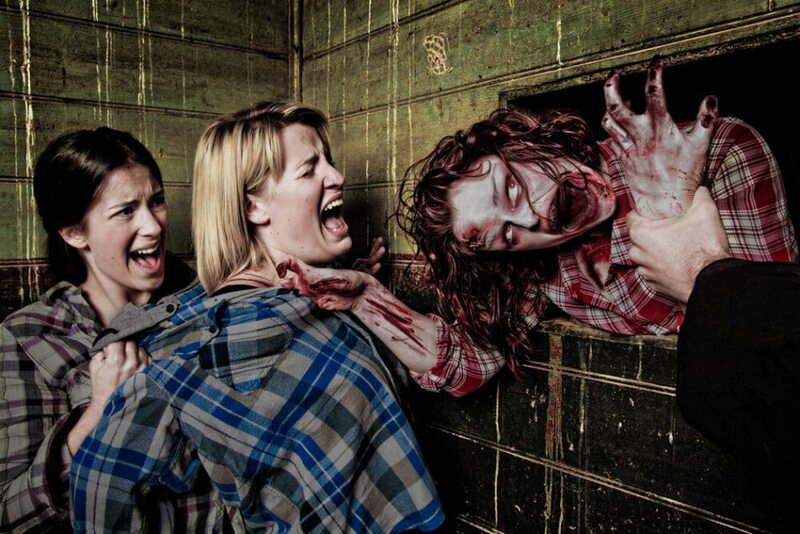 Dead Zone Scream Park, located at Denver Botanic Gardens at Chatfield, features four attractions: Reaper’s Ranch, Haunted Hayride of Horror, CornStalkers & Campfire Ghost Stories. Where our world crosses over into the spirit word there is an in between realm known as “The Dead Zone”. Extinction Haunted House, produced by American Paintball Coliseum, is a live action haunted house, where you shoot actual BB’s at all the monsters and miscreants that lurk through the fallout zone. The humans are all gone and you are out of supplies. It is up to your group now to make it out alive and head towards salvation, that is, if it still exists. The fallout has turned those that were not instantly killed into something…different. It is time to grab your guns and when the door slams behind you, you are in for the fight of your life! Elitch Gardens Theme & Water Park is hosting its annual Fright Fest that includes its night-time scares: Fright by Night. Enjoy all your favorite Theme Park rides after dark and prepare to be on alert all around you, as Fright Fest comes Alive and creatures lurk around every thrilling corner. Get terrorized with three haunted attractions- No Vacancy, Big Top Freaks, and Séance. 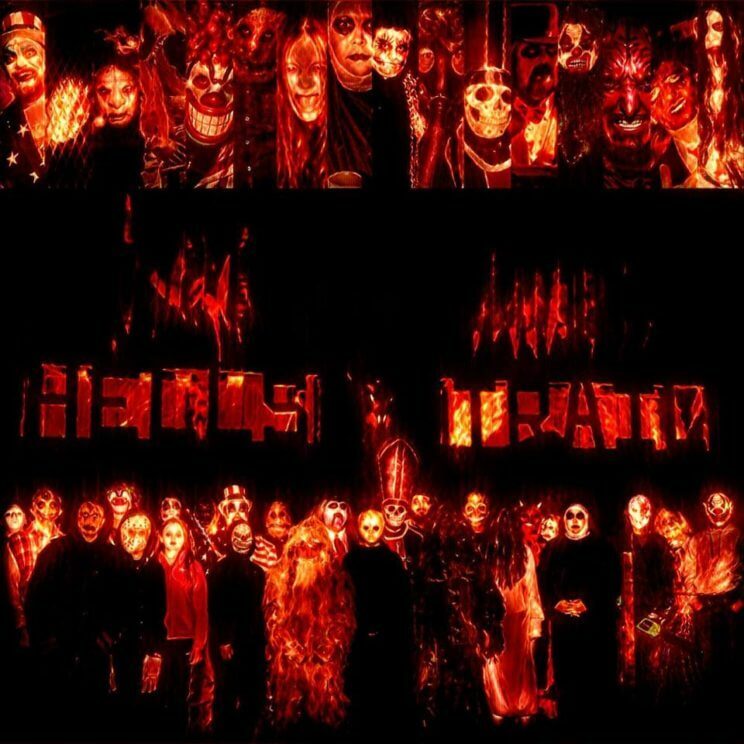 These multi-sensory experiences thrust guests into the action as they make their way through dark pathways, explore the site of a nightmareish inn, navigate a carnival graveyard overrun by flesh-hungry clowns, and take part in bone-chilling live performances bringing stories of the undead back to life. Psst… Fright Fest was also featured in our ‘36 Things to do in Denver this October 2017‘ guide! The Frightmare Compound is Denver’s first and oldest haunted house! Brad Holder obsessively constructed this haunted house for over 16 years before he fell fatally ill. Founded in 1983 this haunted house is where Brad has been buried somewhere in the deepest caverns of the house. 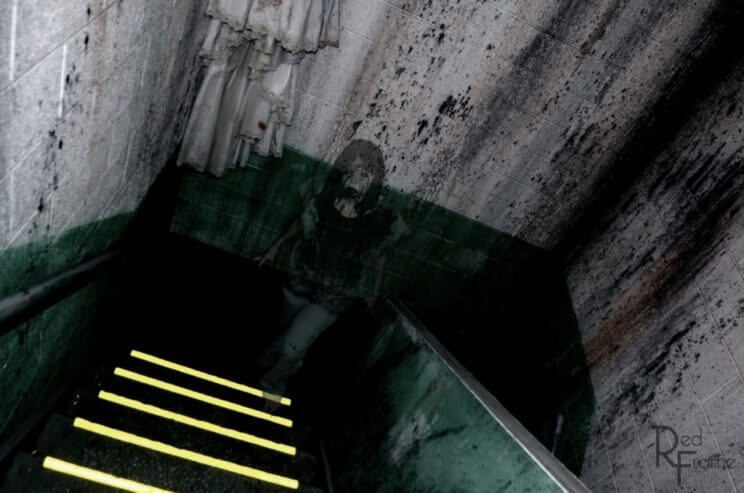 The property has become a legend in the haunted house industry because of its authentic roots. The Frightmare Compound features three different attractions: The Frightmare Compound, House of Darkness & Lights Out. 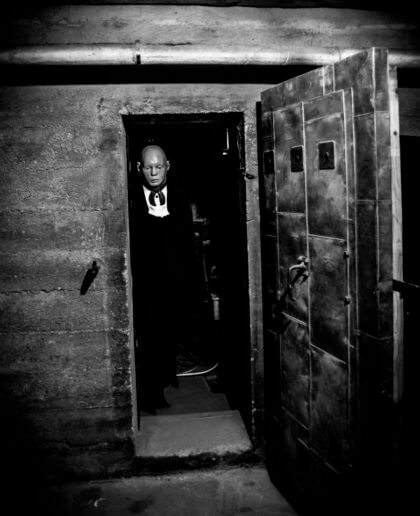 As you begin your journey into the depths of The Frightmare Compound, be prepared to slide into the heart of the haunted house through catacombs and caverns, as you encounter flesh-starved Zombies and blood sucking creatures. Only to crawl out into the wet swamplands where true horror awaits. 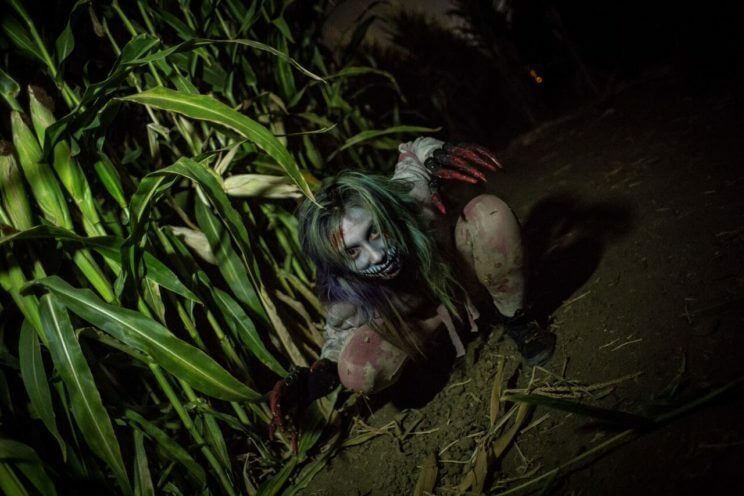 Haunted Field of Screams features over 35 acres of haunted cornfield and three haunted attractions: Haunted Field of Screams, Dead Man’s Night Maze & Zombie Paintball Massacre. Individuals get trapped in a cornfield containing their worst nightmares. Guided solely by the moonlight, the daunting 16-foot-tall cornstalks surround a trail that contains pure terror behind every corner. 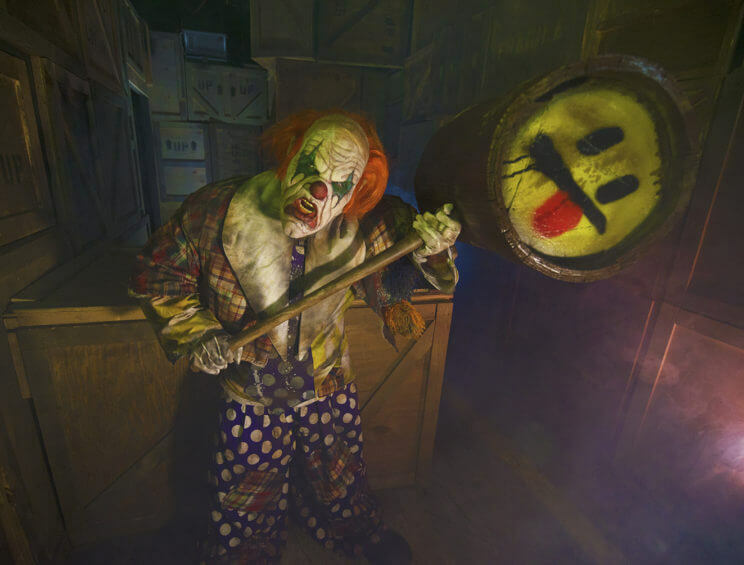 Whatever one’s worst nightmare, zombies, clowns or chainsaw wielding madmen, all will be realized while journeying through the cornfield and facing themed rooms that rival every bad dream. 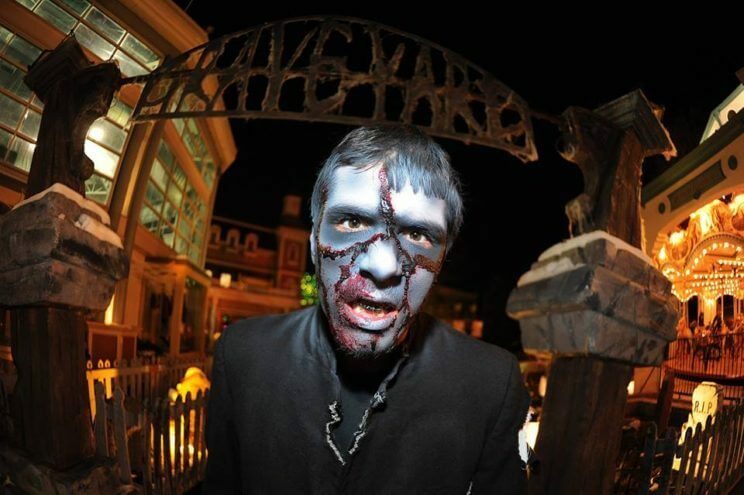 Psst… Check out our Haunted Field of Screams featured article, detailing each attraction! Hell’s Trail is a haunted Halloween spook trail located in Eastern Pueblo County. Hell’s Trail has been Pueblo’s go-to haunted scare for the past 12 years. Walk through their nightly trail and be prepared for all your nightmares to come true, featuring new and exciting additions and characters every year and every night. 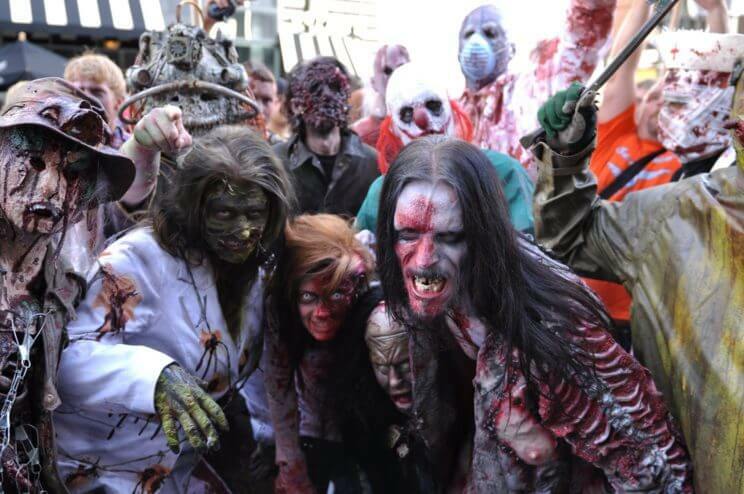 HellScream is an intense, cutting edge, multi story, and multi attraction haunted event located in Colorado Springs. 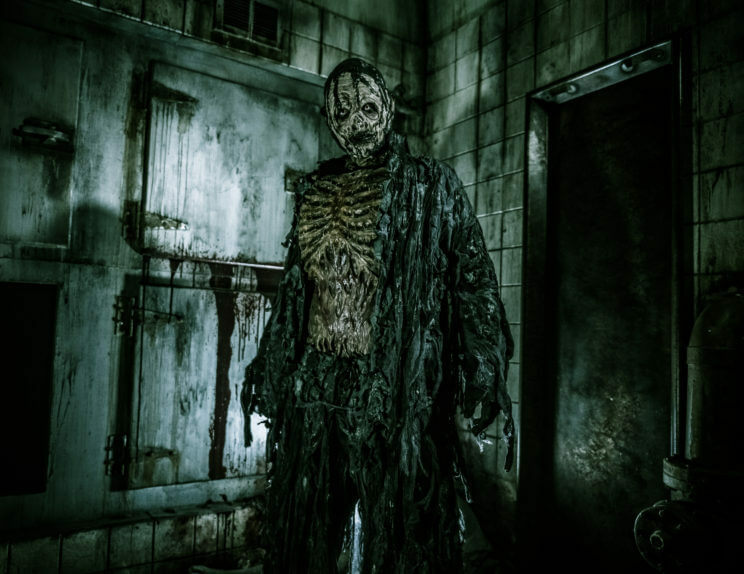 HellScream differentiates itself from other haunted attractions by using trained and highly skilled actors. Nothing compares to the roar of a chainsaw held by a menacing psycho, or the creepy giggle of a deranged, disfigured citizen of Hell Town as she weaves her way through the crowd. Jack Lantern’s Corn Maze of Carnage, located in Jack Lanterns Northern Colorado Corn Maze, featured two attractions: Haunted Corn Maze & Haunted Hayride. When the sun goes down all the creatures start to come out! 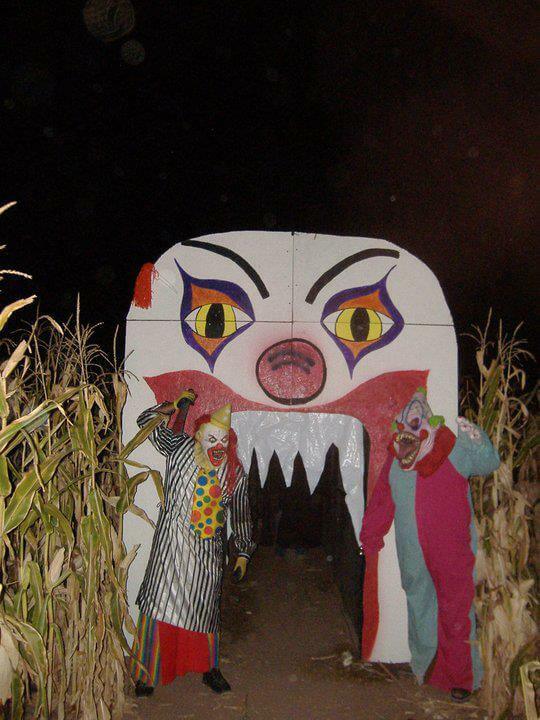 Jack Lantern’s Corn Maze transforms into a haunted place full of monsters and creatures searching for their victims. As you wonder aimlessly throughout the maze, the moonlight is your only source of light to guide you down paths of darkness! 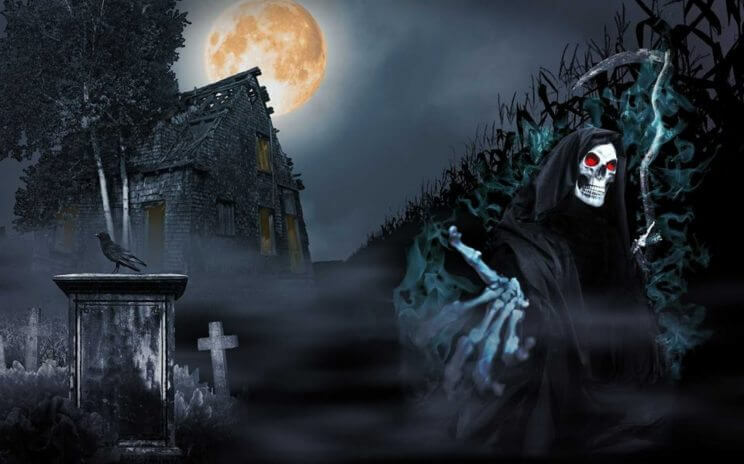 Reapers Hollow, Presented by Hallowseve Productions LLC, is an outdoor walk haunted house that takes place in the corn field and woods.Reapers Hollow features two attractions: Reapers Hollow & Dead End Motel. There is something dark lurking in the woods and cornfields at Flat Acres Farm. For decades there have been reports of strange happenings. People say they hear sounds, like those of a scythe reaping the corn. You might catch the glimpse of an ominous shadow, swiftly moving through the woods and fields, as if floating above the ground. People who enter the corn or woods at night have gone missing… Will you dare to enter?